Water testing kits for identifying water quality issues in pond and lake water. Tests for vital parameters pH, ammonia, nitrite, hardness and many more. 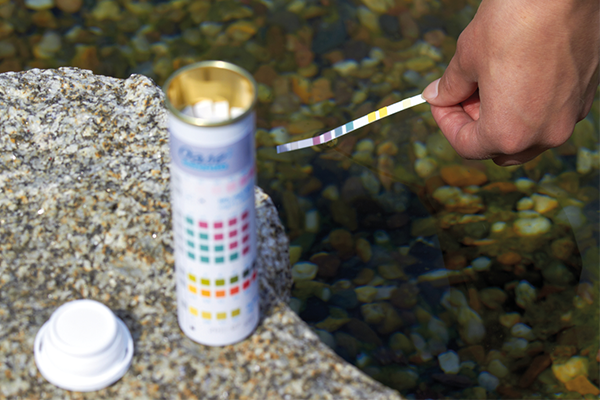 Testing your water quality is a crucial part of maintaining the equilibrium in a pond or lake. Knowing the parameters such as pH, Nitrite and Nitrate are important and may highlight potential issues which can be addressed before these present problems with fish welfare. 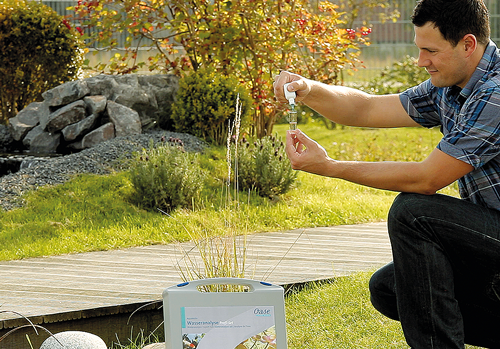 Our range of water test kits enable you to quickly determine the most important pond parameters, identify any issues and then address any imbalances with suitable water treatments. Tip: try and test at the same time of the day, as pond parameters (such as dissolved oxygen content) can vary significantly depending on the time of day. Test Kits for levels of ammonia (NH3), ammonium (NH4), nitrite (NO2), nitrate (NO3), phosphates (PO4), iron (Fe), copper (Cu), acidity/alkalinity (pH), total hardness (GH) and carbonate hardness (KH) and dissolved oxygen (O2). We also supply test kits for lake waters.